Welcome to Begbies Traynor Portsmouth. We are a group of licensed Insolvency Practitioners in Portsmouth offering services to help companies with either rescue or closure options. Portsmouth Address 1000 Lakeside, North Harbour, Western Road, Portsmouth, Hampshire, PO6 3EZ. 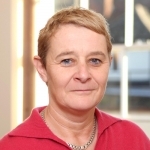 Our Portsmouth office is led by our regional managing partner Julie Palmer who is a very highly regarded and experienced specialist in the field of corporate insolvency. Julie and her team apply their skills and expertise to help companies in financial distress and to support directors dealing with serious debts that their organisations are struggling to sustain. The Begbies Traynor Portsmouth office forms part of a much wider network that stretches across the length and breadth of the UK, and includes a number of other operating bases in the south-west of England. This extensive presence equips all our experts and service providers with a wealth of specialist knowledge and support across a full range of issues around insolvency. Whatever type or scale of company, and whatever the extent of the financial difficulties you’re facing, we at Begbies Traynor can help. We always aim to keep our clients in business and to guide them away from the worst potential outcomes. We understand that speaking to insolvency experts to discuss issues such as liquidation, receivership and administration is not an easy process for company directors to undertake. But it is often the first step towards finding sustainable solutions to serious debt problems. You can call us directly to arrange a free and confidential initial consultation at our Portsmouth office or at any location that’s more suitable for you. We do have a further two offices in the South-East region which are located in Brighton and Southampton, which you may find more convenient for you.